Give back with style! We are excited to announce that Maggie’s Mission has partnered with Bloomingdale’s of Roosevelt Field Mall. This amazing shopping event for #maggiesmission will be held all day on Wednesday, May 1st, 2019 from 10:00AM - 9:30PM. Mention Maggie’s Mission when making your purchase and Bloomingdale’s will donate 10% back to our foundation (some exclusions apply*). We hope you’ll join us for a great day of Shopping for a Cause. Get for your Maggie's Mission Angelversary Gala 2019 attire and more! This will be the first of 4 shopping events Bloomingdale’s will be hosting throughout the year to support Maggie’s Mission. Thank you Bloomingdale’s! Join the talented students from Harborfields High School as they sing and play their hearts out to fundraise for Maggie’s Mission! Come early!! There will be food trucks starting at 4:00 pm in the parking lot on the corner of Taylor and Pulaski Road. WBAB/WBLI will be there before the concert to help rock out the pre event festivities! Last year’s “Music for Maggie” event was held at Harborfields High School and was the largest fundraiser the High School has ever had. The event raised just over $12,000. From it, two $2,000 scholarships were awarded to graduating musically inclined students to help towards college expenses. This year, we hope it will be even bigger and better! All are welcome to attend! Support the students and children and families battling cancer. Tickets are $5 for students and $10 for adults. Doors open at 6:30. You are invited to attend our second annual Maggie's Mission Angelversary Gala on Friday, May 31, 2019 from 6:30 - 11:00. We hope you’ll join us. In honor of Maggie’s Angelversary, we ask that everyone attending wear white. Help us celebrate Maggie’s life and fundraise for a great cause in a place Maggie loved – Montauk, NY. 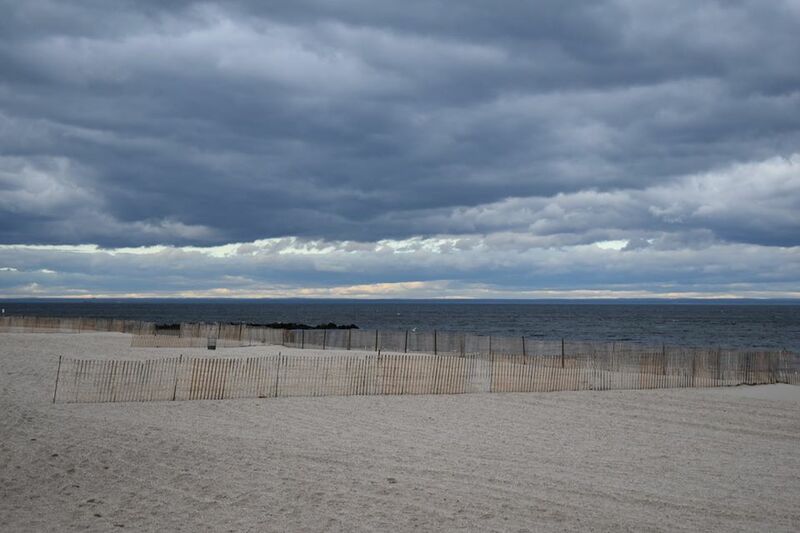 Held at Rick’s Crabby Cowboy Café and looking out onto the waters of Lake Montauk, the event promises to touch your heartstrings while being an exciting evening filled with music, dancing, delicious food, full bar, and signature Angelversary cocktails. There will be exclusive silent auction items and raffles. In 2019, we received a generous grant from the St. Giles Foundation to continue support for our research project at Memorial Sloan Kettering. Proceeds from this year’s Angelversary Gala will be used directly towards helping families with children suffering from this cruel disease. PLEASE NOTE: Preferred form of payment for individual tickets ($200) and sponsorship tables ($5,000) is check or cash. Checks can be made payable to Maggie’s Mission and mailed to 51 Boulevard Ave., Greenlawn, NY 11740. If purchasing tickets online, a PayPal processing fee was added into the cost of both the individual ticket sales and sponsorship table sales. Thank you for your support. The invitation and details about the event can be found by clicking on the link below. Kindly RSVP by April 30th, 2019. Want to highlight your business or commemorate a loved one in our Angelversary Gala Program? Do it with an Angelversary Gala Journal ad. Have an idea for an ad, but unsure how to create one? We can help you. Email maggiegivesback@gmail.com with the details and we will help you make it a reality. All ads are full color. Ads must be sent to maggiegivesback@gmail.com as pdf files in high resolution, minimum 300dpi. Ads can be paid for via the paypal link above or by sending checks made out to Maggie’s Mission at 51 Boulevard Ave., Greenlawn, NY 11740. Ads must be received no later than April 30th, 2019. 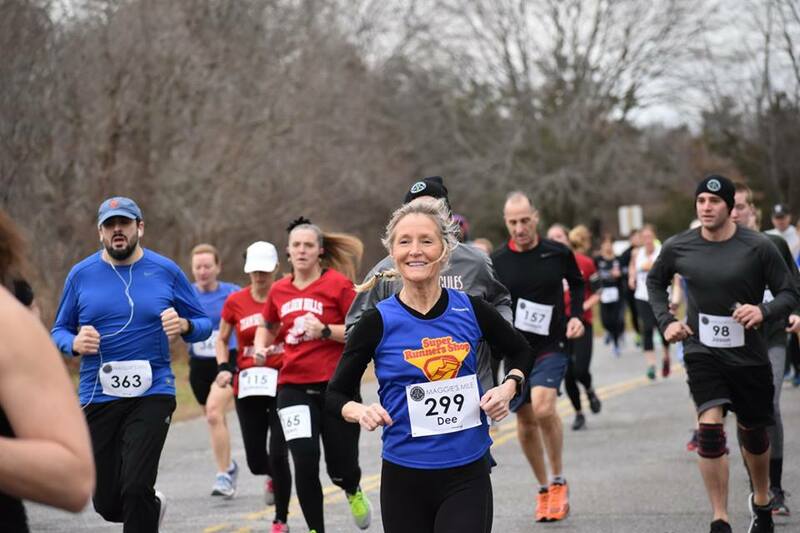 Maggie’s Mile 2019 was a great success thanks to all of our volunteers, participants and sponsors. We had over 500 registrants and 425 runners that finished. There was some stiff competition on the course and some rather fast times despite the last minute course change and some wind. Father Time ordered some milder weather from Mother Nature and apart from the wind, she did not disappoint. Maggie was there in spirit, as she always is - putting the wind in all of our sails and pushing us to help other children. Next up! 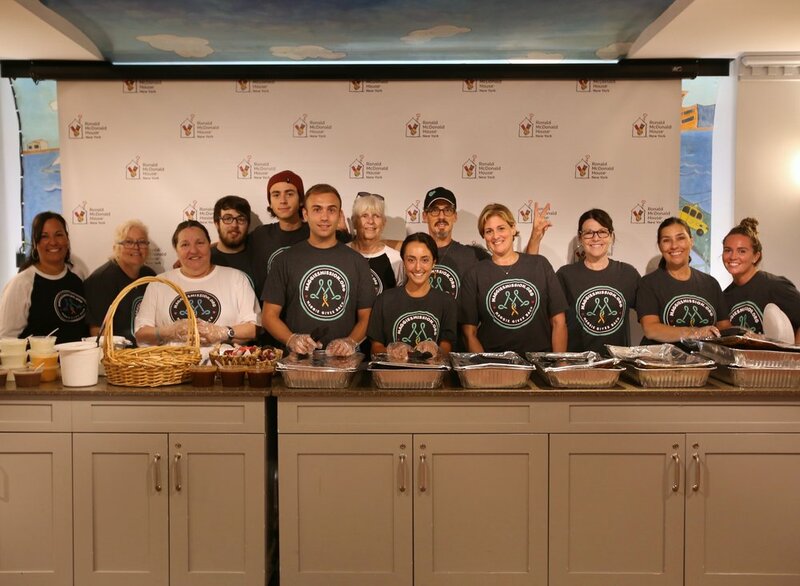 Maggie’s Mission serves Dinner at Ronald McDonald House in NYC February 10th, 2019 and Music for Maggie at Harborfields High School on May 3rd, 2019 at 6:30. Did you know? September is Childhood Cancer Awareness? While September is Childhood Cancer Awareness month, childhood cancer is an everyday reality for thousands of families around the world. 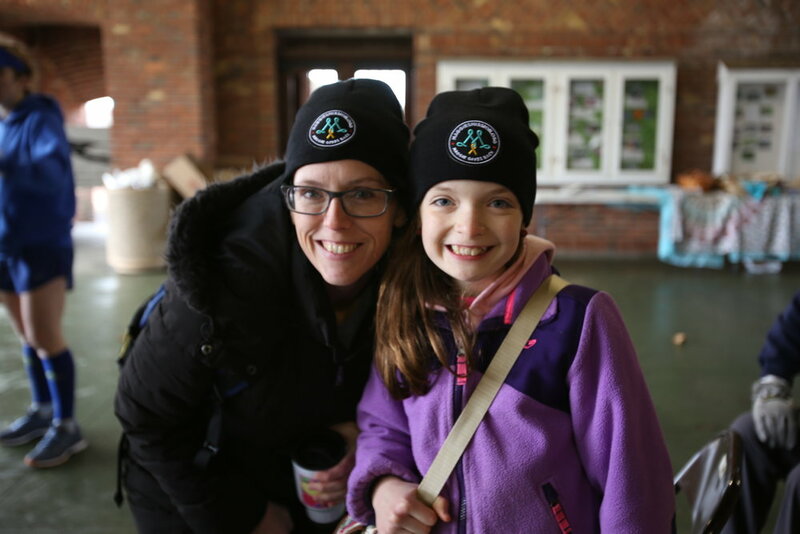 With that in mind, we created #MaggiesChallenge - our exciting annual two-week fundraiser, inspired by Maggie Schmidt which helps raise awareness, fundraise to find cures and offers assistance to families affected. Maggie’s Challenge has already been implemented in many schools and can be tailored to fit any schools schedule. Get your leadership clubs involved and get creative! We hope you will join our teams of Angels. Visit Maggie's Challenge to learn more! 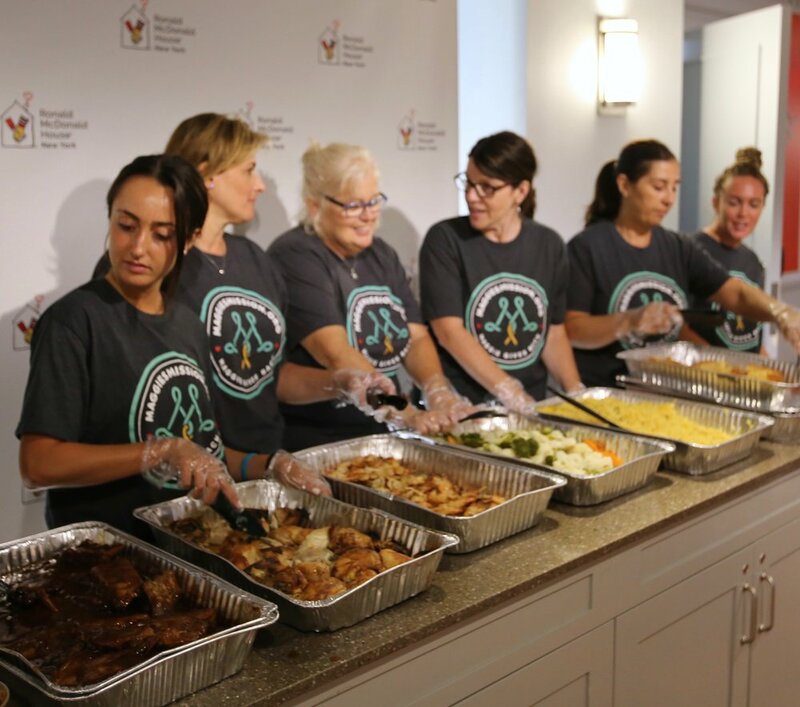 Maggie's Mission served a BBQ Dinner for families at Ronald McDonald House New York on Sunday, August 5th. Thank you to Lynn Trupiano-Okeefe for organizing everything and for our family and friends who dedicated their summer Sunday afternoon to volunteer and help others. I am sure the families appreciated a barbecue dinner. Maggie LOVED yoga. She would spend hours stretching her body to learn various yoga moves. The day after Maggie's Mission Angelversary Gala on June 1, 2018, we honored Maggie's spirit and love of stretching her body by hosting Yoga for Maggie on the Great Lawn of The Montauk Yacht Club. We collected donations to participate in the class and released painted lady butterflies in honor of Maggie immediately following. Eugene Feis from yogawithgene.com generously donated his time to teach this class. Gene is a Dharma Yoga® Center, NYC, certified teacher and has been practicing yoga for over 25 years. Some of us even tried Acroyoga, a partner based practice that combines yoga and acrobatics. Maggie would often practice this with friends and family. Maggie's Mission Inaugural Angelversary Gala! THANKS TO EVERYONE FOR THEIR AMAZING SUPPORT! Maggie's Mission Angelversary Gala benefiting Maggie's Mission was held on June 1, 2018, on a day to the year Maggie Schmidt lost her battle to Malignant Rhabdoid Tumors. 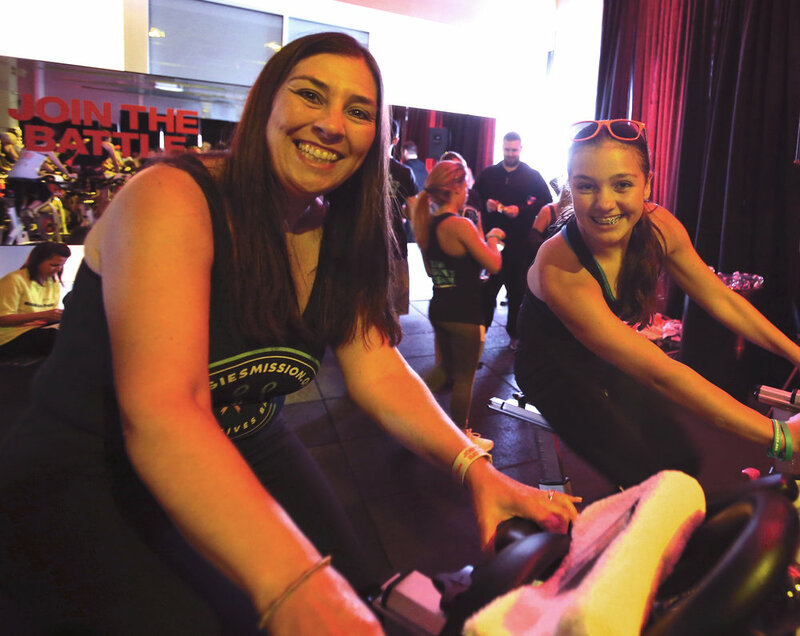 Together, with the help of family, friends and many local businesses, we raised over $130,000! This will help Maggie's Mission finish funding their first research project on MRT at Memorial Sloan Kettering. Everyone came together despite a little rain and enjoyed a wonderful, magical evening under the big tent on the great lawn of Gurney's Montauk Yacht Club honoring Maggie Schmidt, while fundraising to find cures for rare pediatric cancers and helping local families with expenses after the diagnosis of pediatric cancers. The event was filled with a sea of people in white, which signified the "Angel"versary theme, while also remembering Maggie, who five years prior had worn white as a bridesmaid in her Uncle and Aunt's wedding party on June 1, 2013 at the same venue. Thanks to everyone who supported us! Event photos can be found at Christopher Appoldt, password is maggie, all lower case. On what would have been Maggie's 18th birthday, a "Music for Maggie" fundraiser was held at Harborfields Central School District, the biggest fundraiser the High School has ever had. The event raised just over $12,000. From it, two $2,000 scholarships were awarded to graduating musical students to help towards college expenses. Maggie would have been a graduating senior this June, 2018. 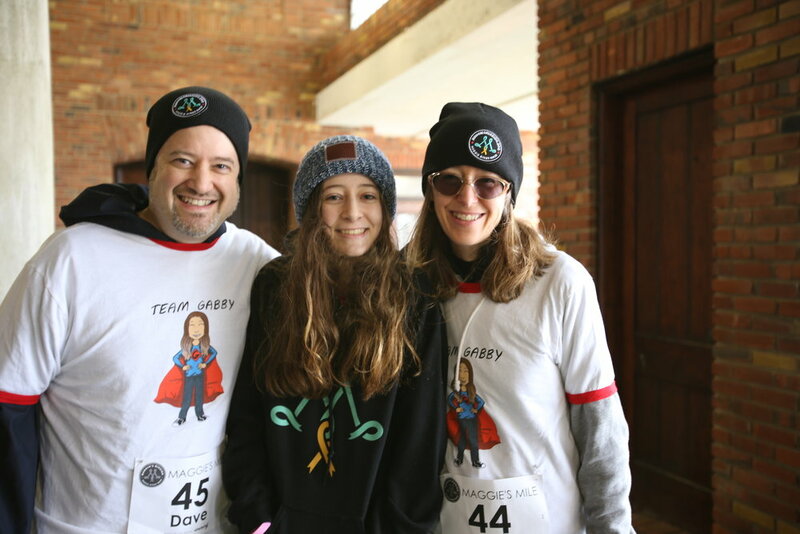 HFamily is committed to helping Maggie's Mission, a non profit started in Maggie's memory and dedicated to raising awareness and funding research to find cures for rare pediatric cancers. Ms. McGinty, Mrs. Garside and Mr. Taylor from Harborfields School District helped students run this event. Maggie's close friend Kayla Sarcona also helped. Andrew Schild donated his sound and DJ services for the evening. Our Team page is still open to take donations so it's not too late to make a donation! Your efforts will fight cancer and make a real impact. Thank you in advance for your support! Together, we can bring new and better treatments to patients worldwide. 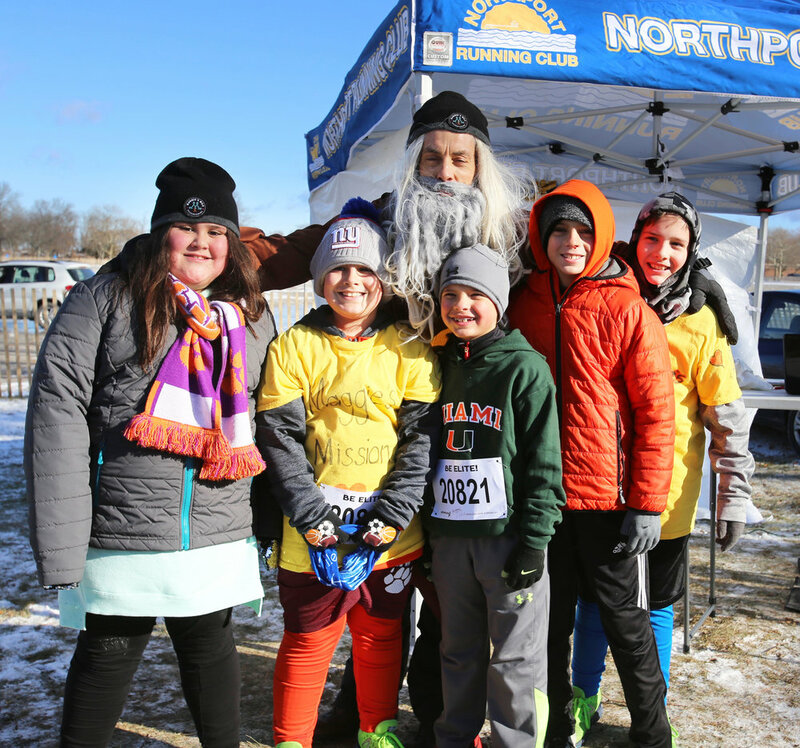 Despite the bitter cold and freezing temps on January 1, 2018, many supporters, including Father Time and Baby New Year came and rallied against the cold to run Maggie's Mile. 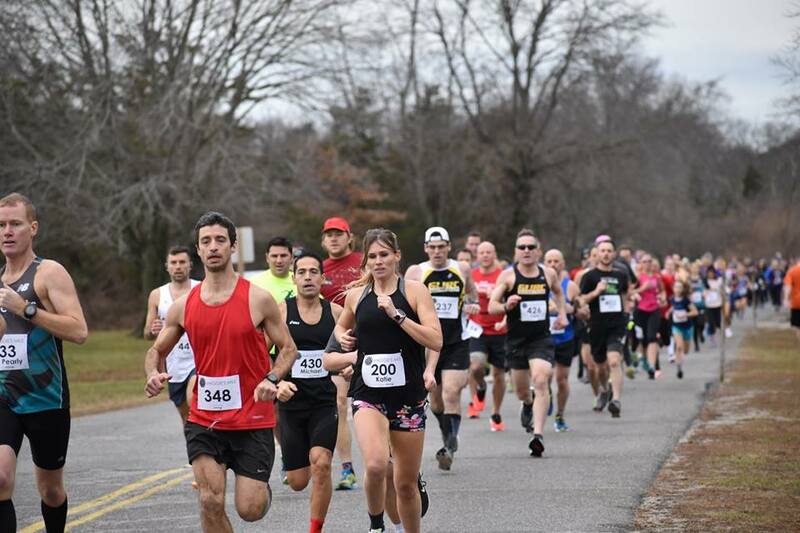 With the help of The Northport Running Club, the employees of Sunken Meadow State Park in Kings Park, and our Sponsors, Maggie's Mile was a great day and successful event. Together we raised over $10,000 to put towards the research project on Malignant Rhabdoid Tumors we are funding at Memorial Sloan Kettering. We want to thank Harborfields High School students, staff, and families for putting on the Talent Show "Singing for Sloan" which raised $7095.00. 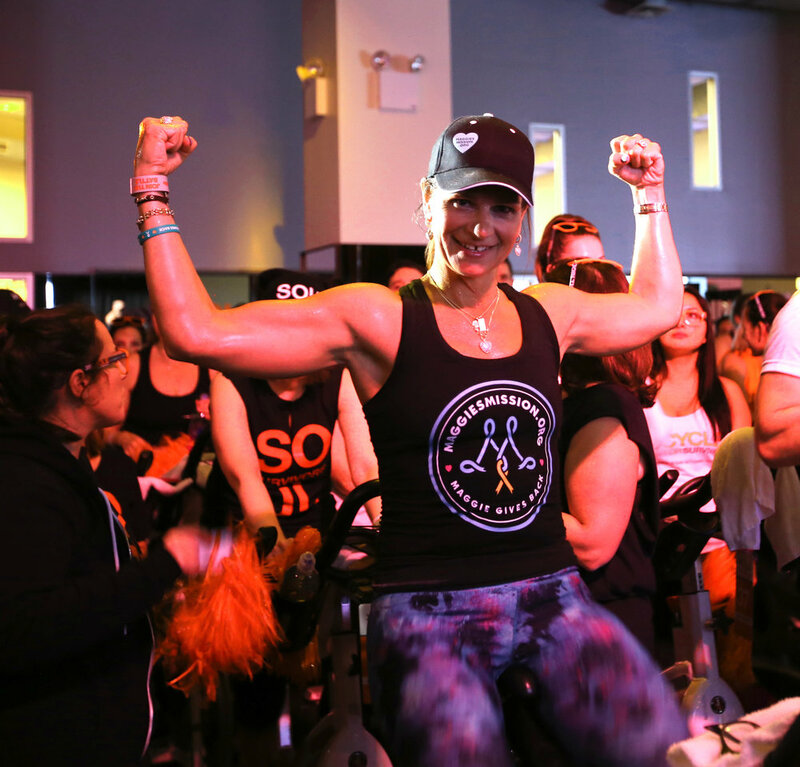 The money raised in Maggie Schmidt's honor is being used to fund the Memorial Sloan Kettering Malignant Rhabdoid Tumor Research Project to find a cure. This new research project is being led by Dr. Srikanth Reddy Ambati M.D., who cared for Maggie. Thank you to everyone who organized and participated in the event. WE WILL NOT FORGET YOU MAGGIE SCHMIDT!